Collider reports Zendaya is in negotiations to play the role of Chani, a Fremen warrior who eventually becomes Paul Atreides’ (Timothée Chalamet) companion. (The Hollywood Reporter also followed up with its own story.) Atreides first meets Chani after he and his mother (Rebecca Ferguson) escape from Arrakeen and join the desert-dwelling Fremen of Arrakis. She’s never seen him before, but he knows who she is—after having a series of visions about her. As far as the rest of the cast goes, in addition to Chalamet, we recently learned that Oscar Isaac is in talks to star as his father. Dune will also feature Charlotte Rampling as the Reverend Mother Mohiam, Stellan Skarsgård as Baron Harkonnen, and Dave Bautista as his nephew. 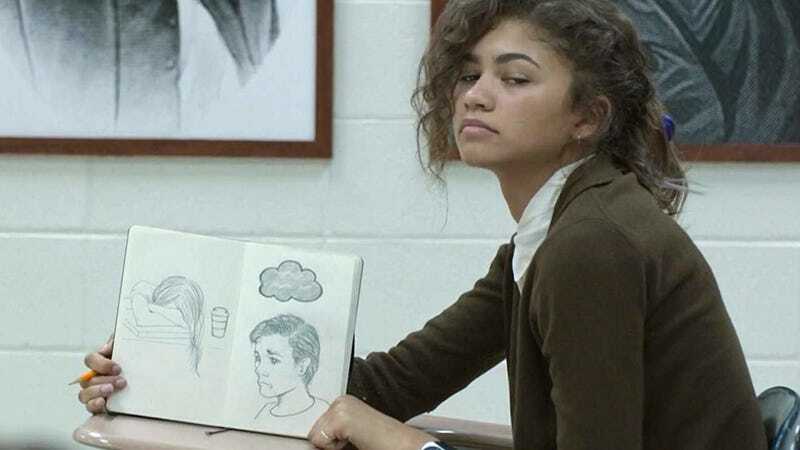 No release date has been announced yet for Dune but you can catch Zendaya in Spider-Man movie: Far From Home on July 5.